As everyone became health conscious and he or she finally came to know about the importance of his or her health and fitness. And all the credence goes to these health and fitness related apps who are making a preponderance of the population aware about their consequence. 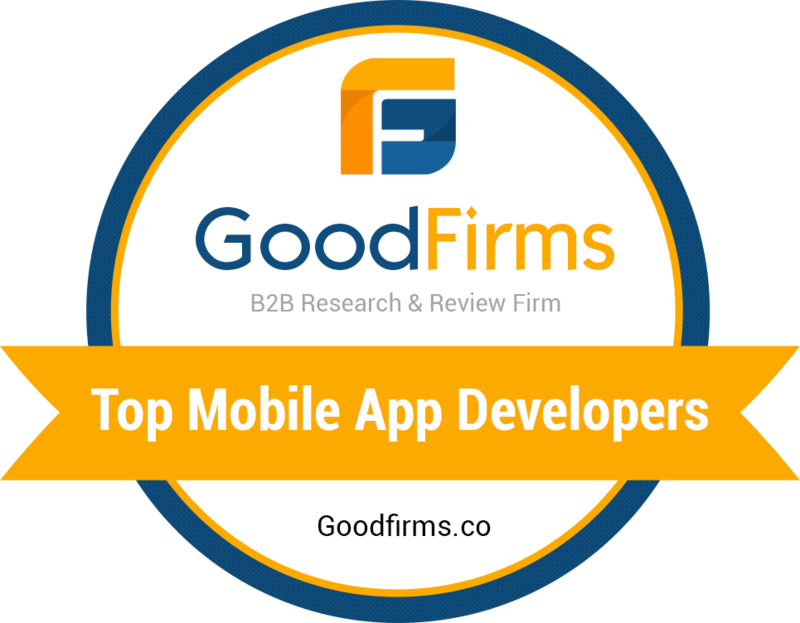 All these recognitions had lead to a huge demand for app development industry, especially for the health and fitness apps. This is the reason why in this article today, we will be covering the topic of health and fitness app development and also we will be covering some of the frequently asked questions related to the topic. Let’s get started with the different types of fitness and health apps that are ready in the market. In the diet and nutrition types of fitness and health apps, mainly the nutrition as well as the calorie amount of each food item is defined. Simultaneously, we can also get other information related to the daily diet chart. The diet and nutrition-related mobile apps are the best for those who are in must need of balancing their diet in order to maintain the healthy body state. The next best app type is the personal trainer apps which is one of the most popular ones which has the pre-arranged workout and exercise routines, one best thing about this is that the user can choose the format of his/her routine exercise. For example, the workout can be in video format, illustrations format, three dimensional or even just in the form of text. These apps have the option to choose the level of difficulty based on their body and fitness goals. These apps make people feel more comfort compare to the gym. The best way to be healthy is to maintain both psychological and physical, which further ended to yoga and meditation. These yoga and meditation related apps are now started rising as people are showing awareness of spiritual cleansing as well. The yoga and meditation apps are for the users who want to keep their mind and body in a healthy mood without the following the heavy workout routine. These are the most widely used apps, which actively tracks and monitors the user’s activities. These include the jogging, running, swimming, cycling, hiking and many more. The activity tracking app uses various kinds of sensors to monitor and record the user’s activity information. Today, the maximum of these sensors requirement is fulfilled by our smartphones. So, these are the four main types of health and fitness apps that are trending right now and hold a vital share in the fitness and health sector. Another thing is that making these fitness apps so docile is the fact that they are available for a number of devices. Let’s see some examples like smartphones, smartwatches, fitness bands and many more. Simple Registration Process – There is a famous saying, “ The first impression is the last impression”. Well, that’s true in this case because users are always looking for hassle-free signs and if the sign-up process is much complicated the user won’t even proceed with these apps anymore. For a simple registration process, you can add the login through the social media option for the end-users. It’s better to make the app more secure by adding the facility of OTP or verification code with the user’s contact number. Interactive User Profile – This is the other important feature to consider with extra attention. After the registration process, the user will fill up his/her details and other personal information such as name, date of birth, contact number and many more. Every user pleads to have a creative profile that’s highly interactive, to make the app more fun for them to use. Added functionalities will be implemented to keep up with the trend. Social Media Integration – Social Media integration has now become a most wanted feature for not only the health and fitness applications but for all types of apps. All this is because the users like to update their whereabouts on their various social media platforms to maintain a constant number of followers. Integrating various social media platforms to your application will also provide an increase in the online search for your brand. Wearable Device Support – Since a year, the wearable is desperately trying to be a part of. Majorly the smartwatches are the ones that most of the people are opting for. The community of wearable devices is growing at a significant rate so it won’t be a smart move to left out such a big part of the population. Even you can make your application more user-friendly by giving support for the wearable devices. An option of Tracking – The field of fitness and health is the one where user likes to see the graph of progress, which is intended to check the previous state with the present state. So provide your users with the option of tracking the data as well as the recording of their activity information. For example, provide the real-time data as per the activity or notify the users the number of calories they have burned in their recent activity. GPS Support – The Geolocation feature or GPS support is the most essential to add to the app if there are physical activities like jogging, cycling, hiking, trekking running etc while performing any physical activities the user can share the location with their friends or family. This feature can be added to other functionalities of the app. Push Notifications – Push Notifications is vital and if you are a regular reader of Mobile App Daily you may come to know the importance of push notifications especially in driving retention on your app. In a similar manner, the push notifications will remind you of the daily health and fitness activities that we perform. Video Format Tutorials – The fact that the user prefers the video format when they want to learn new things. A video will convey the exact way to do the activity. A workout session cannot be explained entirely on the pictorial representation of the exercises included. So, to make exact use of the health and fitness apps the users do need the video tutorials for various fitness and health routines. IAP Services – The IAP services also known as in-app purchases is one of the most known methods to earn revenue through your mobile or web application. Even with these apps, you can offer the option of buying the special workout courses, specialized fitness gear and apparel with your brand logo over it. This is an excellent feature from a revenue perspective for your application. Various Payment Options – In general many people may think that payment feature is an optional thing, but if we look at the current state of mobile commerce, adding this features is now equally important. Because if your app consists of the IAP feature, then you need to have the payment gateway feature to integrate with it. To make this feature more adaptable, instead of adding just a payment option include various payment options to provide the user with a better experience. There are many other additional features like in-built chatting option or any other functionality can be added in the updated versions of your health and fitness apps. Now, it’s time to talk about the cost involved in developing a fitness and health-related apps. The cost of development is less in India in comparison to the hourly rate of app development in the USA and Europe. The hourly rate majorly tends to vary from one location to another. The cost of mobile app development in the US ranges from $50 to $150 whereas in India the hourly rate ranges from $25 to $50. While choosing the mobile app development company you need to see the previous experience. This tells the total amount of the time taken for developing the application. The duration depends on the number of the features, as well as, the complexity of the features that the client requires in the app. And also different platforms may require different time durations as in Android platform the testing phase is longer than the iOS platform which indicates a longer time duration. The complexity and feature integration go hand-in-hand while determining the cost of application development. If the application consists of high- level and very complex features then the cost tends to be more as the duration for the development will also increase while building them. For adding the complex features in your app, usually requires more experienced app developers at your services which will surely cost more. It enables us to implement streamline procedures and quality frameworks. We have extended our services of our dedicated team to serve the client needs. In this model, the customer has predefined goals which have pre-negotiations for the complete project with clear-cut deliverables. Let we advise you a great strategy that works in the market. Also, we assist you with a technical consultation in terms of choosing the best technology stack for your product. So, finally to end up the key factors will contribute to the total cost of developing a fitness and health application.